After a talk with a friend the other day I realized that I've always wanted to get into tabletop RPGs. D&D has been the front-runner in my mind and I've played a few sessions here or there with friends but I've never actually had a persistent RPG campaign... and that seems like where all the fun is. On a whim I bought the D&D starter set without actually having a group in mind. But then I starting thinking about it and I realized that my kids my like to use their imaginations in an RPG setting. At 3 and 5 they both have great imaginations and communications skills. "That's it!" I thought, "I'll DM for my kids!" 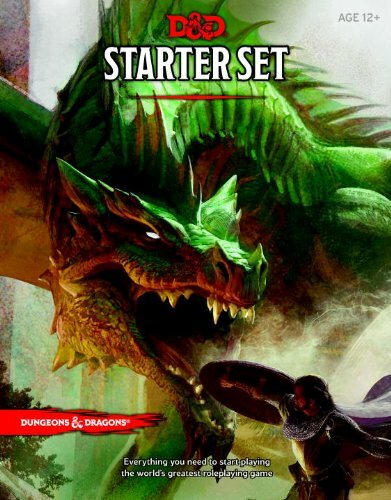 I got the starter set and immediately realized that there were too many numbers, stats, and violence to play D&D with kids their age.... so I started googling and found this gem. It's a starting place and basic rules for non-violent D&D for kids. It's super simplified and it gave me a good jumping off point. I took that author's rules and simplified them even more. Basically my kids were just using their imaginations and rolling D20s whenever it made sense. And they loved it! It was a huge success and the next day they asked to play again. After running a couple adventures for them I see more places to simplify the rules even further. I think I might even write up a basic ruleset and create my own characters sheets for them in this new rule system. I'm really excited to see where this goes. Haven't tried it myself, but I've heard great things about No Thank You Evil which is for kids and families. Awesome to see a new generation of kids starting into this fantastic hobby! If you check my blog there is a very simple rpg system I wrote for my 6yo - he loved it and had no problems following along. That's awesome! I'll check out your system for sure.